The Delhi government has released a special number for all these 40 services. This number is 1076. The applicant or the person desiring to take the service will have to call the number and fix an appointment with the 'Mobile Assistant'. At any time between 8am and 8pm, the applicant can fix an appointment for the mobile assistant. According to the time fixed by the mobile assistant, a tablet will come to the address of the applicant and upload the necessary documents. Government of Delhi launched the Doorstep Delivery Scheme for 40 services. 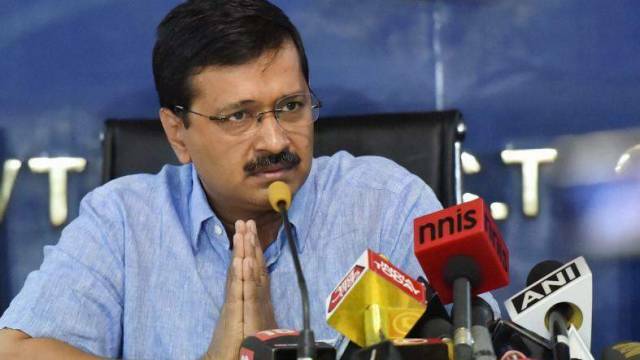 During the launch of the scheme, the Chief Minister said, "This scheme is a unique experimental and a new model of governance all over the world, but it has not been implemented easily, we have fought a lot." The applicant or the person desiring to take the service will have to call the number and fix an appointment with the 'Mobile Assistant' means that the government representative will have to decide which time he wants to call his home. At any time between 8am and 8pm, the applicant can fix an appointment for the mobile assistant. However, the call center will remain open for 24 hours and seven days. After completing the procedure, the mobile assistant will charge a fee of Rs. 50/-, after which the certificate applicants should be sent to his house through post.